Most people who purchase a home, whether that home is located in Spruce Grove, Stony Plain, Parkland County, the Edmonton area, or elsewhere in Canada, require some financial assistance. That is, they require someone to lend them sufficient funds to cover the price of a home. Most often, this financial arrangement is handled through a bank or other institution through a MORTGAGE. 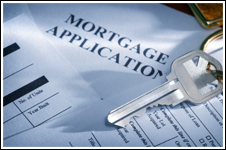 A mortgage is a legally binding agreement that states a certain party (mortgagor) lends money to another party (mortgagee). The mortgagee agrees to pay back the money at a certain rate, plus interest, over a certain time period.